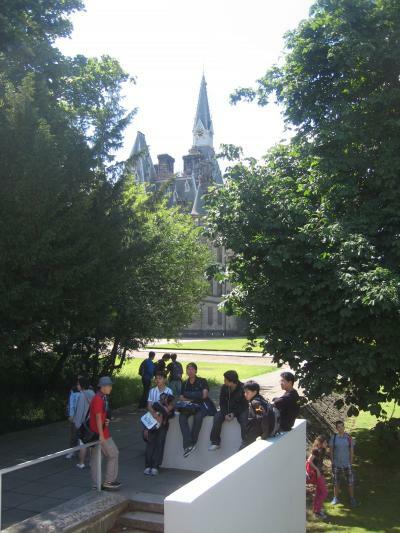 At present, Kayoko and I are helping with 18 young schoolboys attending a language school here in Edinburgh from the school I used to work at in Nagoya. They arrived tired and exhausted from over 26 hours of travelling last Sunday evening. Two suitcases didn't turn up until the next day and this "glitch" held us up at the airport a little so that we didn't arrive until after 9:30pm. We checked the boys into the school, registered them and got them to bed as quickly as possible. They woke up Monday morning amazingly bright and cheerful after such a long journey and were down to work right away. Classes were chosen for them after what they said was a difficult test and they joined approximately 150 other young people from China and Taiwan, Spain and Italy. Their "adventure" was underway. Kayoko comes into the school from our house regularly but I am staying with the boys in the boarding house where the boys share rooms with Taiwanese and Spanish boys, about the same age as themselves. 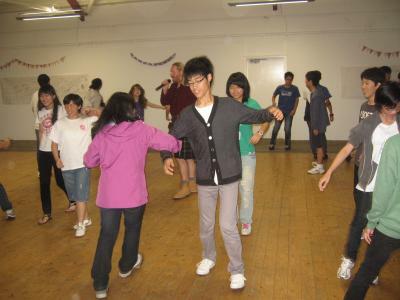 There is also another accompanying teacher with the group with them in the school who is good fun. The building is very impressive and pictures will be posted of it eventually, along with some I hope to take of the boys doing different activities over their stay here. 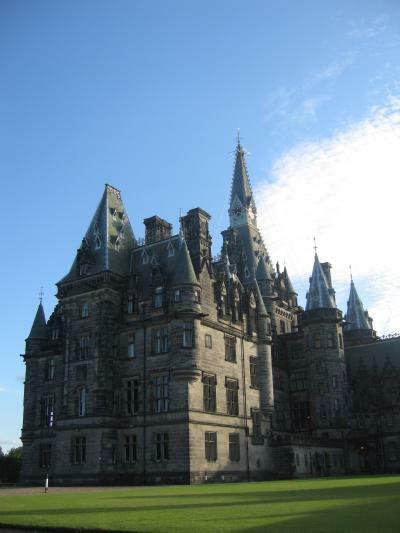 The school is like a French chateau and was build in 1874 by a rich Edinburgh merchant who left all his wealth for a school to be built here for local boys. There are today many famous old boys who went to school here from all oiver Britain (and the rest of the world) who include Tony Blair, the ex-Prime Minister and other well-known characters in British history, but perhaps more interesting to the boys that Mr Blair is the fact that the building is the model JK Rowling's Hogwart's School used in developing images in her now famous series of novels about Harry Potter. Yesterday saw them playing other sports and they impressed people with their skills in basketball. 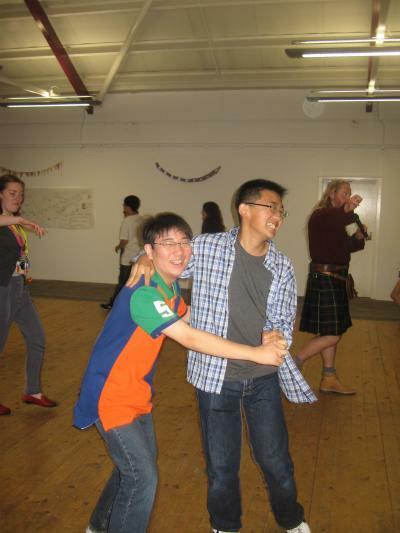 Tonight we have a ceilidh-with the many Spanish, Taiwanese and Italian girls on the course, I am sure they will have at least one partner to dance with through the evening. There will be a "caller" to explain the moves and there are plenty of activity leaders to show how the dances are done first hand...a ceilidh will make them sleep well if nothing else as it is extremely strenuous (as well as great fun, if they can overcome the intial shyness in trying something so alient to them. It'll be the same for the children from all the other countries too.